Conroe | Donald Thomson - Dedicated. Trustworthy. Located 40 miles north of Downtown Houston, Conroe was recently named the fastest growing city in the nation by the U.S. Census Bureau. This can be attributed to job creation in the city and the surrounding areas by large employers such as the Conroe Park North Industrial Park and the new ExxonMobil campus just down the highway in Spring.Numerous developers such as Johnson Development Corp and Howard Hughes Corp continue to develop quality communities in and around the area as well. 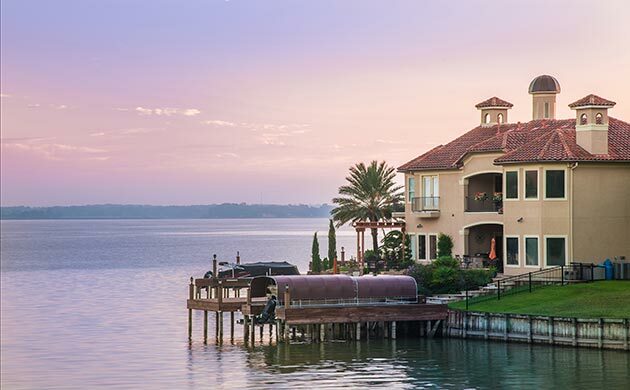 Conroe is also home to the 20,118 acre Lake Conroe, which is popular for boating, jet-skiing, and fishing along with great residential lake properties. Search all available Conroe properties for sale below. Updated: 23rd April, 2019 6:53 PM.